Sundancer Electric is licensed in Washington state as an electrical contractor and a general contractor. 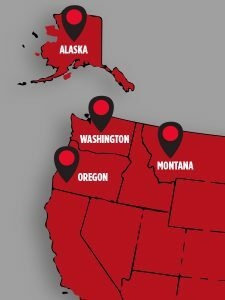 Additionally, we hold master licenses in Alaska, Montana and Oregon. We have been involved in a variety of major projects for organizations such as the Washington State Department of Transportation, Sound Transit, Port of Seattle, Microsoft, Joint Base Lewis-McChord and the Seahawks (CenturyLink Field), to name a few. Our focus is on larger-scope, more complex projects; however, we’ll take on projects of any size. We work both directly with private owners and with general or electrical contractors whose business model and ethics aligns with ours.